Date notes: Crawling around the outside of my apartment complex. 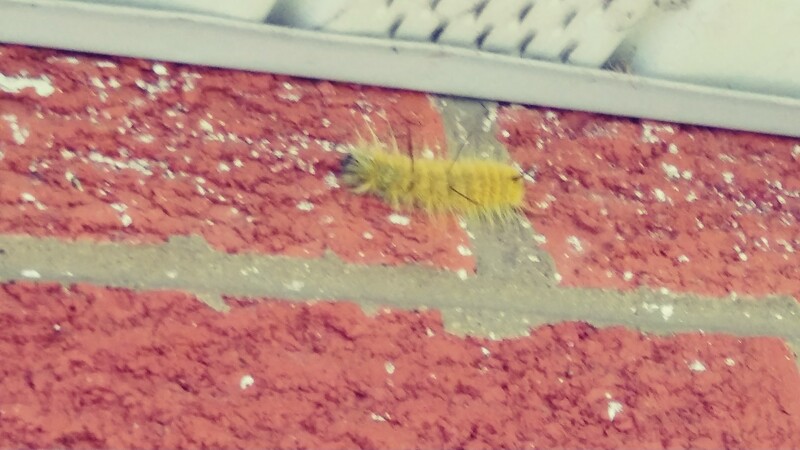 Observation notes: Was crawling around on the outside of my apartment building. Not sure what kind of tree it is but there is a big one in the back, looked like it was just kind of wandering.